Whether you represent a company looking to influence office holders, a business looking to engage clients or a non-profit trying to spread your message, how your audience hears your message and perceives your approach can determine your level of success. Audience alignment requires the personal attention of skilled consultants with experience in corporate headquarters and newsrooms, in campaign offices and State House halls. The kind of consultants who keep the panoramic view in mind while working to execute the smallest task. Because details matter, even from a distance. For your information and convenience, Serra Public Affairs is pleased to present links to LIVE video and audio of activities in the Maine Legislature. Over the last 20 years, Alex Serra has gained expertise in all areas of Public Affairs. In her time as Director of Public Affairs and Government Relations in the Northern New England region for a Fortune 50 company, she coordinated numerous initiatives ranging from targeted non-profit giving programs to local governmental outreach initiatives, to state legislative efforts. Serra began as a registered lobbyist in Maine in 2006, has worked on a variety of successful campaigns in Maine and New York and is a former television news reporter and assignment desk editor. In her time at a PR firm, she gained experience in multi-media messaging and strategic campaign management. Serra has held numerous board seats on state retail associations and state chambers throughout New England. Serra’s unique range of experience allows her to advise clients on how to get the results they want through a comprehensive approach, individually crafted for their needs. By incorporating the right tool at the right juncture, Serra crafts a creative and individualized plan specific to the goals of an initiative. 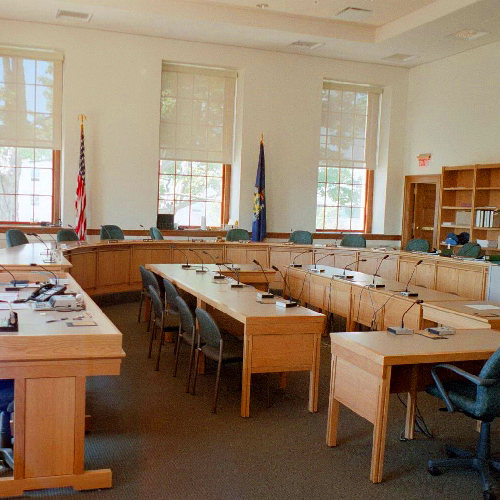 Whether engagement of social media, earned media, local grassroots tools or lobbying at the Maine State Capitol is called for, Serra works with each client to determine the right path to success for them and executes accordingly. A graduate of Smith College and the University of Maine School of Law, Serra is proud to serve on the Maine Arts Commission. She currently resides in Hallowell, Maine. Ted Varipatis spent 25 years as a key player at the state's number one news station, with the last 10 years in a management role, determining daily news content, statewide and regional news coverage, both on air and online. Ted is two-time Maine Association of Broadcasters award winner. Ted has a large social media presence with 3,000 followers on Twitter: @TVTEDDY. Ted, a lifelong Mainer, lives in South Portland with his wife Beth and two sons, Nicholas and Andrew. Rebekah Mason has statewide grassroots experience in campaigns throughout Maine. She has also worked at the Maine State House in various capacities. Rebekah earned her Bachelor’s Degree in Business Management with a focus on Pre-Law and Accounting from Southern New Hampshire University. She now lives in Lisbon Falls, Maine with her husband Garrett. Michael Grover is an award-winning photojournalist, having served as the Senior Photographer at the NBC affiliate in Maine for 20 years. He has worked on many large freelance projects and is known for his ability to combine breathtaking images of Maine’s natural resources with meaningful interviews to effectively tell a story.